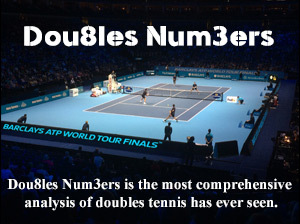 Stephen provides valuable insight into the numbers that rule the doubles court. Stephen won 4 ATP titles, and was ranked as high as 21 in the world. He has been the assistant men’s coach at Virginia Tech since 2012. What a pleasure it was to spend time with Stephen on Center Court at Wimbledon this year. Stephen partnered with Wesley Moodie back in 2005, winning two rounds of qualifying, and then six main draw matches to win the most prestigious doubles title in our sport. Stephen has an immense amount to offer all of us with his insight and experience into winning doubles strategy. 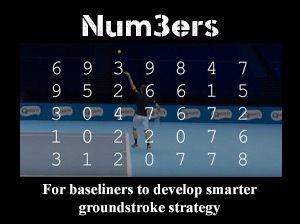 I interviewed Stephen during the first week of the Championships this year, talking about his past, the coaching he was currently doing, and his thoughts on the data included in Dou8les Num3ers.